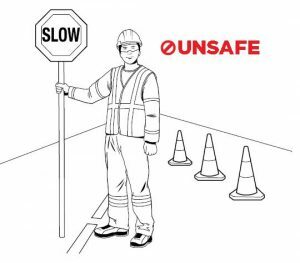 The flagger in this illustration is standing in the middle of a roadway…He should be positioned at the shoulder of the roadway. Safety is a vital part of traffic control. Many distractions and hazards at a road construction site such as traffic, pedestrians, construction crew employees and moving equipment and vehicles combine to create a busy and complicated situation. Other potential hazards include electrical lines, open trenches and gas lines associated with the actual work area. At Flagger Force, we incorporate safety into everything we do. We’ve built our reputation on offering high quality temporary traffic control services that ensure the safety of everyone in and around our work zones. Never satisfied, we meet all state and federal requirements to create the safest road construction traffic flow possible. 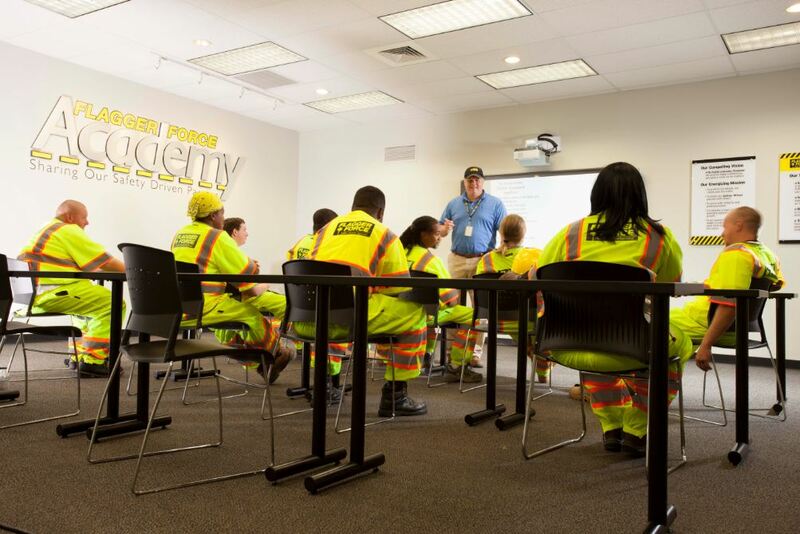 Flagger Force Academy provides safety and quality training to all of our employees and that same training can be provided to you and your staff. Our videos demonstrate the proper safety techniques. In traffic control, safety is the number one priority, not just in terms of setting up quality work zones but also in terms of personal safety. At all work zones, Federal and State laws, regulations and guidelines all need to be followed carefully. Find the laws for Pennsylvania, Maryland, Delaware and Virginia here. 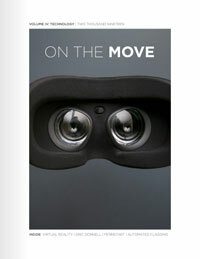 ...is our in-house training organization. Through our curriculum development, we meet the minimum state and federal required training We also teach based on our core values of trust, integrity, respect, and leadership to guide safety and business decisions. Every meeting at Flagger Force begins with a safety and quality message. This serves two functions: it highlights new or important safety developments and also maintains a safety mindset as one of our company’s core values. 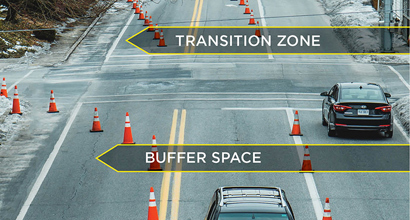 We continually analyze and evaluate our work zones and crews with thousands of unique data points every year. We enforce all standards and determine where we can make improvements. Safety training isn’t only for crew members. Every single Flagger Force employee has regular safety training. We want safety to be an intrinsic part of our corporate culture and integral to everything we do. 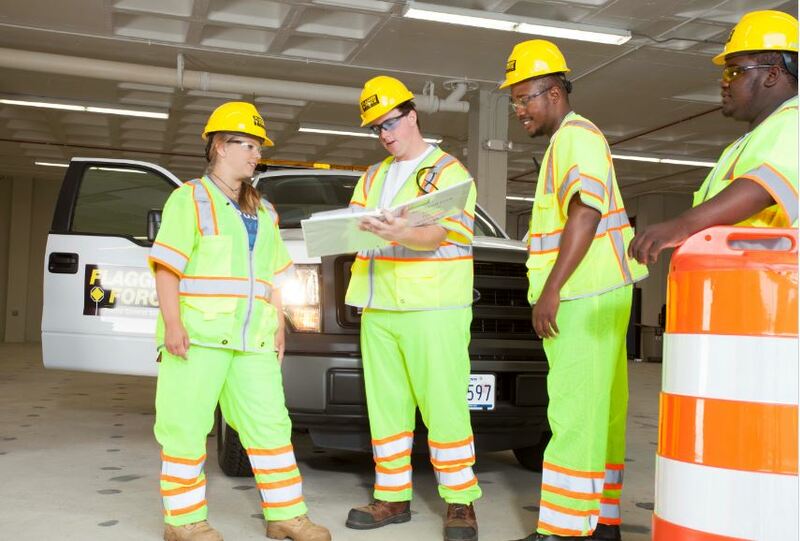 Our corporate employees are well versed in all federal and state requirements for PA, DE, MD, and VA work zone safety. We always strive to surpass the minimum requirements for safety. We follow the guidelines set forth by the federal MUTCD and state DOT standards. We follow the best practices in the industry. 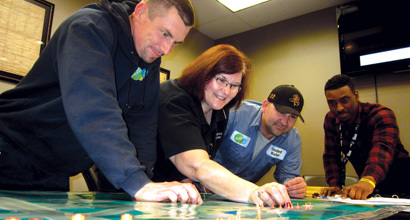 Every employee is provided the resources needed to stay informed and make the best safety decisions possible. Safety isn’t a catch phrase that is shared with employees once and forgotten. At Flagger Force, every member of our team understands their individual impact on themselves, client construction crews, and the community in general. We are committed to safety, and we work hard every day to ensure it. Legal requirements at the federal and state level are respected. Working across the Mid-Atlantic area (including PA, DE, MD, and VA) means we adhere to specific standards that can vary state to state, along with the American Traffic Safety Services Association (ATSSA) and DOT standards. Standards in the MUTCD produced by the Federal Highway Administration (FHWA) are an excellent resource for our safety mission. We also consider accepted industry practices and participate in traffic control safety service industry meetings and seminars to ensure we’re well informed. 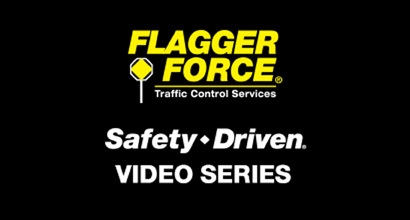 As an industry leader, Flagger Force sets safety trends. We are a go-to resource for industry regulators who respect our commitment to safety and through our understanding of the safety implications and requirements of the temporary traffic control industry. Road construction safety doesn’t happen by chance. It takes a consistent and dedicated approach, as well as continuous training for all employees. We provide safe temporary traffic control at all times, which is how we’ve turned Flagger Force into the industry leading force it is today.